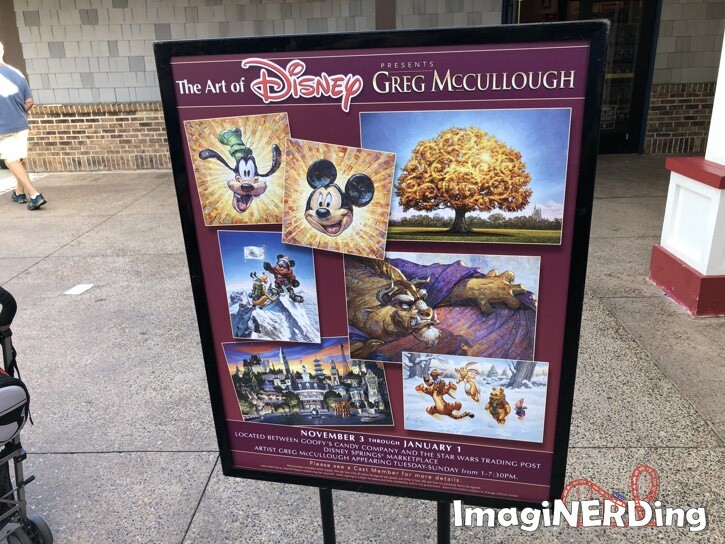 The Art of Disney Story Presents Greg McCullough is a new exhibit at Disney Springs Marketplace. Artist Greg McCullough is featured through January 1, 2019. His art will be on display in the gallery and for sale. I was at Disney Springs catching Pokemon and happened to notice that the store was open and I checked it out! Are you familiar with Greg McCullough’s art? According to the information at the Art of Disney store, he will be there every Tuesday through Sunday from 1:00 p.m. to 7:30 p.m until January 1, 2019. Just a few examples of what is available at the Art of Disney Presents Greg McCullough. There are prints of the characters and iconic images from the Disney theme parks. 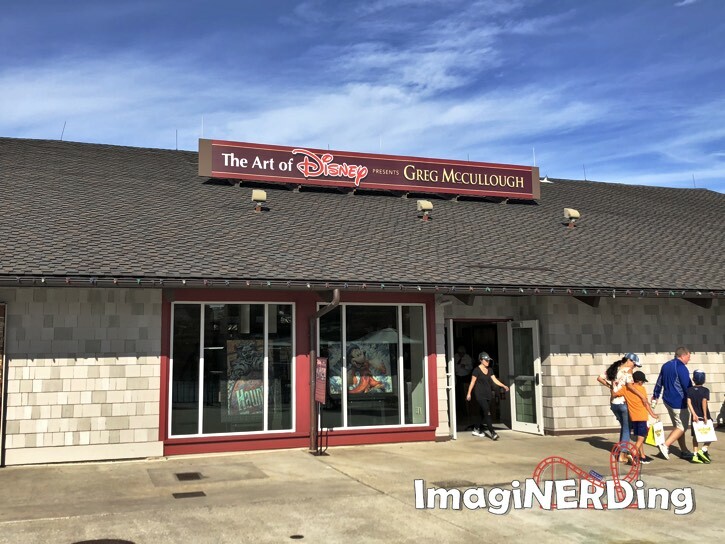 The Art of Disney Store is near the Rainforest Cafe, Goofy’s Candy Company and Star Wars Trading Post in the Disney Springs Marketplace area. Do you own any of Greg McCullough’s art? Special thanks to Wes B. for supporting me on Patreon.